Repointing is the process of fixing crumbling, broken down mortar and replacing it with new mortar. The process may sound simple but there are a number of important precautions to consider to get the job done right. If cracked or crumbling masonry joints are ignored you will be in trouble over time, as this damage will increase and eventually negate the stability of the entire structure. 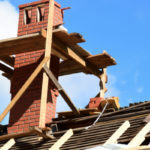 Mortar joints are responsible for maintaining the strength of a building, and are assigned with the task of taking the brunt of damages from things such as water. Mortar joints are meant to break down, but as long as they are repointed on time the structure will maintain its original strength and integrity. 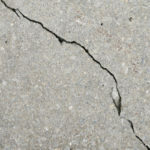 When cracks are ignored and water gets in, this moisture expands and contracts due to temperature fluctuations. As a result this creates a damaging pressure that widens cracks and eventually expands past the mortar joints. Fixing mortar joints before the damage gets to this point is highly recommended, largely because repointing is a much less invasive job than replacing entire sections of brick, stone or concrete. There are a number of precautions to keep in mind when considering repointing. Knowing the basics to repointing is advisable for all home and business owners as it gives you some leverage when talking to potential mason professionals. Knowing what key things to ask about helps sort out the quality masons that really know what they are doing. If mortar joints are not filled in to the proper level a number of issues are certain to arise. Joints should NOT be partially filled, and deep raking should also be avoided or else faulty mortar joints will result, as well as issues related to moisture. Inexperienced masons may add too much water to mortar mixtures in order to increase workability and make the application of the mortar easier. While this may simplify a mason’s job it does nothing for the longevity of your structure. Instead, a water-rich mortar can lead to the production of porous mortar joints—which is nothing you want to deal with. Tooling masonry joints provides esthetic and functional benefits, but most importantly it provides the best line of defense against masonry’s biggest enemy: water. Tooling has to be conducted at the right time; the rule of thumb is that the joint should be “thumbprint” hard at the time of tooling. All of the joints should be tooled at the same level of moisture; this keeps a solid line of color throughout. In most cases the head joints are struck first followed by the bed joints. When tooling brick masonry buildings the mason strikes the joint, brushes it, and then repeats the striking process. 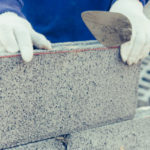 For concrete masonry the mortar is struck with the appropriate tool and then brushed or rubbed with a chunk of the block or Styrofoam before the tooling process is repeated. Brick is never rubbed, only brushed. If joints are improperly tooled they will encounter instability when exposed to different types of weather. When installing high absorption masonry units a proper dose of pre-wetting is necessary to prevent weak mortar joints. Pre-wetting is important but shouldn’t be overdone otherwise issues arise, such as porous mortar joints and other issues visible on the interior wall. If hydrochloric acids are used as a cleaning agent you put mortar joints at risk for efflorescence, which can lead to the weakening of mortar joints. Flashing is a certain kind of metal used to help prevent moisture from getting inside of masonry units, and it also helps with drainage. When properly installed metal flashing is integral to masonry moisture defense. When repointing a wall it is often recommended to install new flashing to make sure it continues to do its job. In almost all cases if a mason suggests widening original joints you should be concerned. Spreading mortar onto the actual face of the masonry structure enables widening of original joints; as a result the look of the wall is distorted. Even worse, this makes it much more difficult to conduct repairs in the future. Is Your Masonry Structure Too Damaged For Repointing? Repointing is a valuable masonry tool that will prevent further degradation of a masonry structure, BUT if these repairs are conducted too late damage may become too extensive for repointing to do an adequate job. 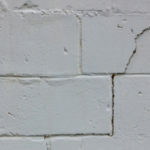 Two instances when repointing may be a waste of time is if the bricks, stone or concrete surrounding masonry joints is showing signs of damage, or if the entire structure has started to tilt. Call a masonry expert out at the first sign of damage to prevent this from happening. 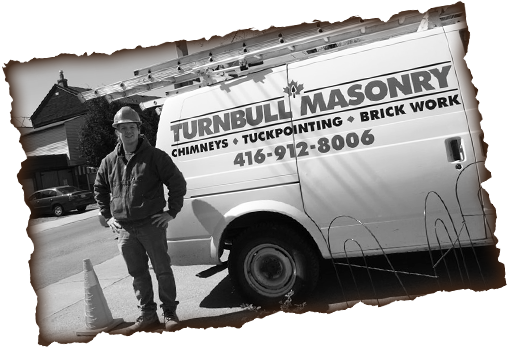 Turnbull Masonry has been the trusted source for Toronto masonry repairs and rebuilds for years. Contact us today to see firsthand why we are rated number one in our community!